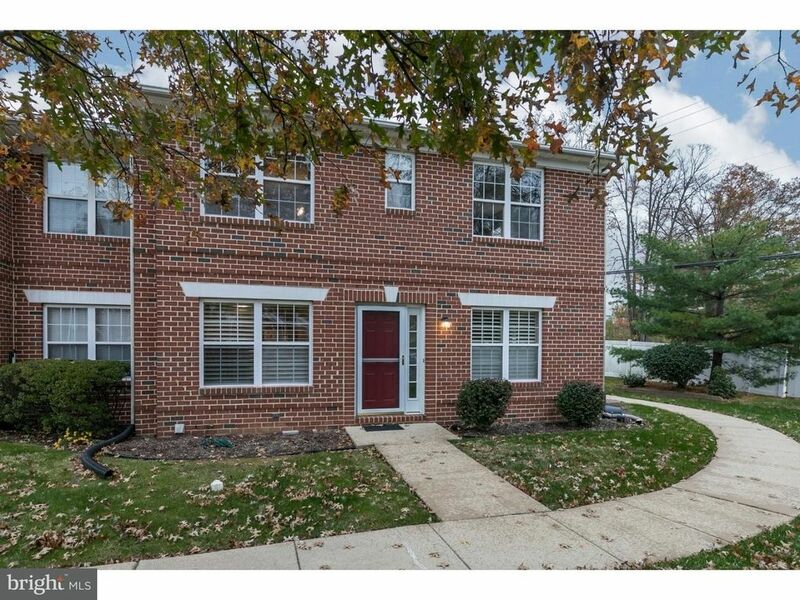 A rare opportunity to own a TOWNHOME in the well-situated neighborhood of Goshen Commons. Located within walking distance to downtown West Chester, this stunning end unit 2 bedroom 2.5 bathroom townhome is prepared for a new owner with new HVAC and Patio door. Enter into the foyer area and feel immersed in the airy, open floor plan. The eat-in kitchen allows for plenty of counter space for prep and not one, but two pantries for voluminous storage. The living room is adorned with custom plantation shutters which give the option to let in immeasurable amounts of sunlight when opened or privacy when closed. A new sliding glass door leads to a wood deck and cozy grassy area for outdoor entertaining. Upstairs offers a master bedroom with two closets, one of which is a large walk-in. The on-suite bathroom has been tastefully updated and decorated. The second bedroom also has its own full bathroom attached, offering both convenience and versatility. A glass French door leads you to a masterfully finished basement, with a corner gas fireplace, drop ceiling and custom recessed lighting. The larger of the two storage areas features a laundry room with newer high-efficiency front load washer and dryer. Just move in, unpack and enjoy everything this home and the town of West Chester has to offer, but don't wait too long; this one may not last!